Once you realize how easy it is to make a great cooked salsa that you can make as mild or as hot as you like, you may never go back to store-bought. 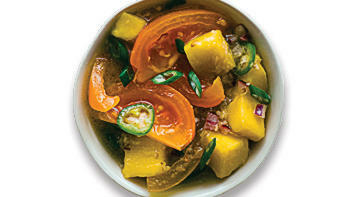 The combination of mango and tomato may seem surprising, but the pickling ingredients bring them together in an enticing way. 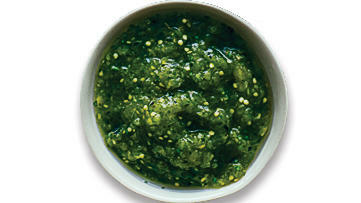 Tomatillos and fresh chiles give this salsa a bright, "green" flavor, and toasting the ingredients contributes a smoky element (plus it loosens the chiles' skins). 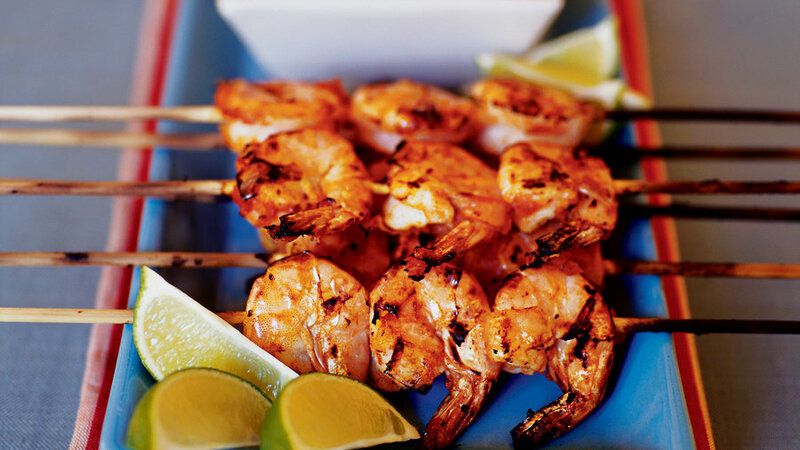 Augusín Gaytán, a San Francisco chef and culinary tour leader to Mexico, gave us this flavorful and super-simple grilled shrimp recipe. 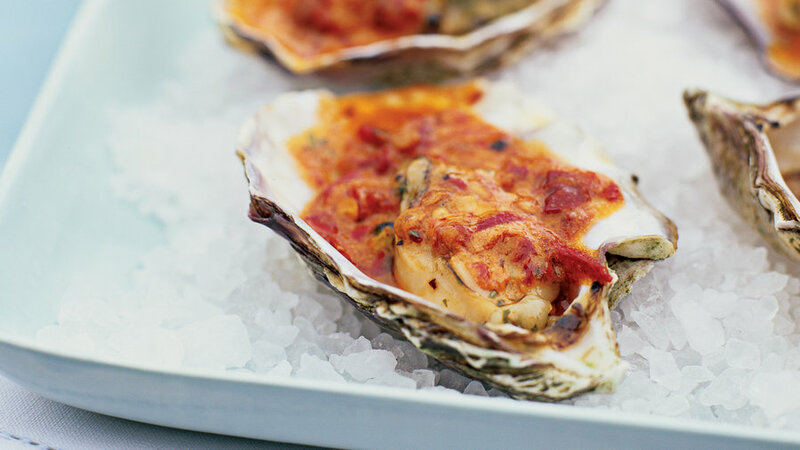 Pop a few dozen plump Pacific oysters on the grill and then top with this creamy, spicy glaze, courtesy of chef Dory Ford of California’s Monterey Bay Aquarium. What a way to kick off a party! Moist, steamy, tomato-flavored rice―with hints of well-cooked onion and garlic―is comfort itself, especially mounded next to a main course like huevos rancheros or enchiladas. Quickly sauté some spicy Mexican chorizo, add to canned refried beans, and you’ll have the perfect rich and savory side dish for huevos rancheros―and just about anything else Mexican. 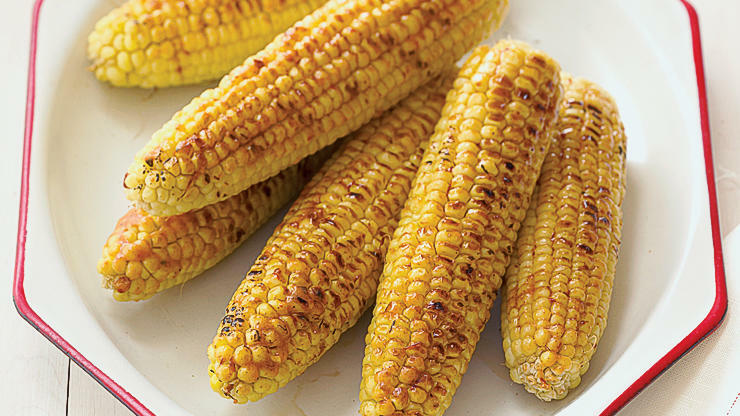 Fresh, sweet ears of summer corn, slathered with a mix of honey and chipotle chiles. 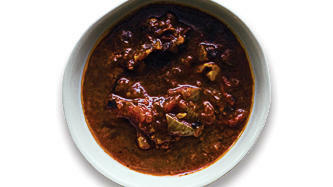 Couldn’t be simpler―or more sensational. 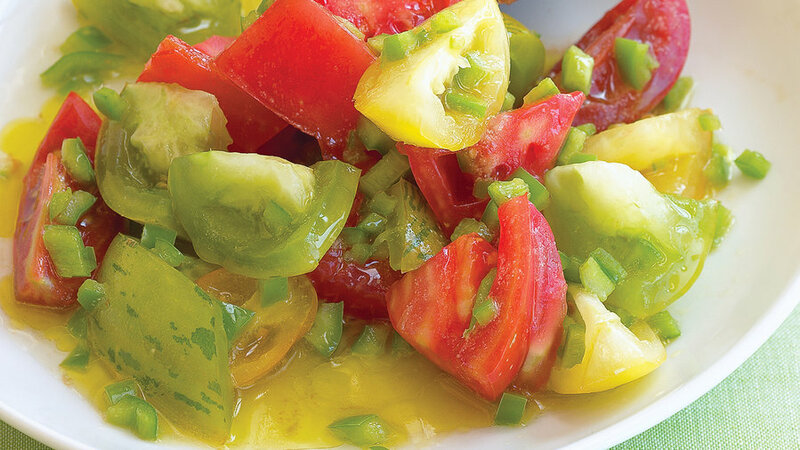 A gorgeous combo of tomatoes drizzled with spicy-sour flavors, this salad looks like a Mediterranean dish but tastes like Mexico. 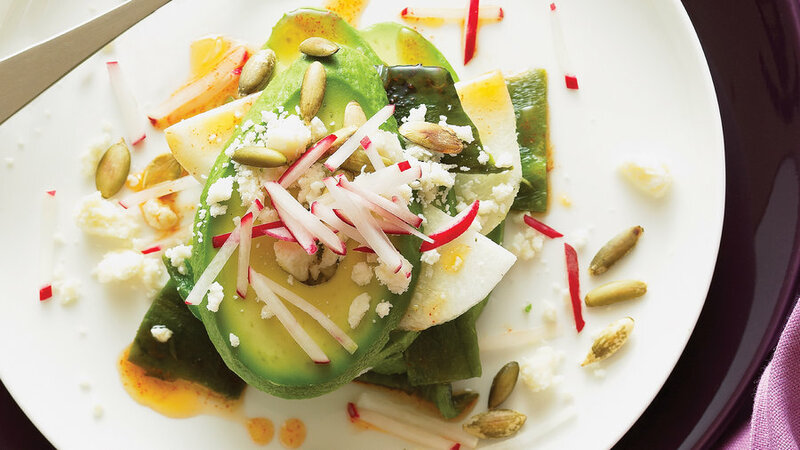 A dynamic first-course dish of crunch, spice, and color, starring silky ripe avocados. 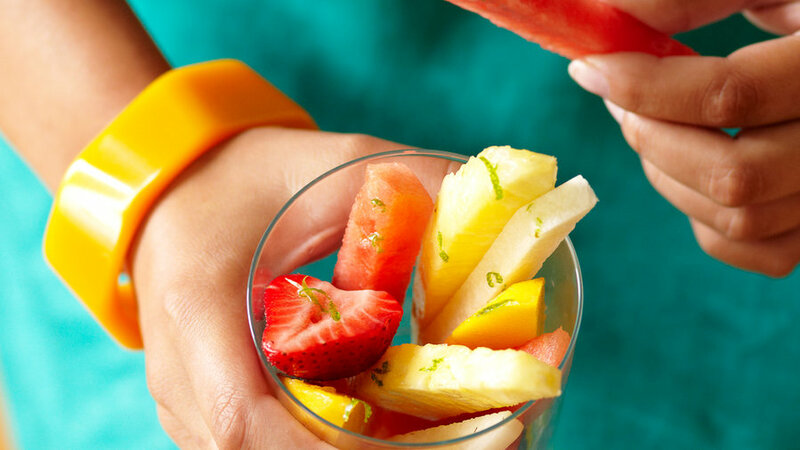 Take a little inspiration from Mexican fruit stands by putting a fruit salad into individual cups. 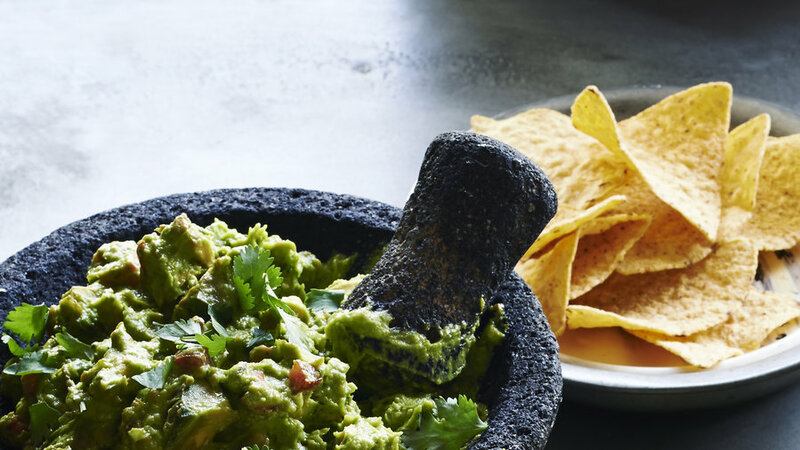 It's finger food at it's best, and the tequila-lime dressing gives it just the right amount of kick.